These three days, which the Church calls Great and Holy have within the liturgical development of the Holy Week a very definite purpose. 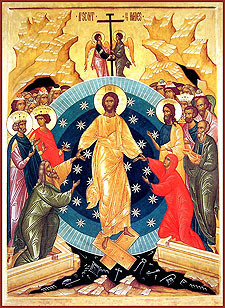 They place all its celebrations in the perspective of End Times; they remind us of the eschatological meaning of Pascha. So often Holy Week is considered one of the “beautiful traditions” or “customs,” a self-evident “part” of our calendar. We take it for granted and enjoy it as a cherished annual event which we have “observed” since childhood, we admire the beauty of its services, the pageantry of its rites and, last but not least, we like the fuss about the Paschal table. And then, when all this is done we resume our normal life. But do we understand that when the world rejected its Savior, when “Jesus began to be sorrowful and very heavy... and his soul was exceedingly sorrowful even unto death,” when He died on the Cross, “normal life” came to its end and is no longer possible. For there were “normal” men who shouted “Crucify Him” who spat at Him and nailed Him to the Cross. And they hated and killed Him precisely because He was troubling their normal life. It was indeed a perfectly “normal” world which preferred darkness and death to light and life.... By the death of Jesus the “normal” world, and “normal” life were irrevocably condemned. Or rather they revealed their true and abnormal inability to receive the Light, the terrible power of evil in them. “Now is the Judgment of this world” (John 12:31). The Pascha of Jesus signified its end to “this world” and it has been at its end since then. This end can last for hundreds of centuries; this does not alter the nature of time in which we live as the “last time.” “The fashion of this world passeth away...” (I Cor. 7:31). 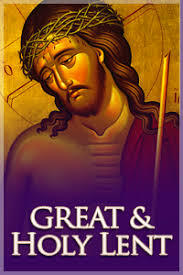 On the Cross Jesus thus became “the man of sorrows; acquainted with grief” whom the prophet Isaiah had foretold. He was “despised and forsaken by men” and “smitten by God, and afflicted” (Isaiah 53:3-4). He became the one with “no form or comeliness that we should look at him, and no beauty that we should desire him” (Isaiah 53:2). His appearance was “marred beyond human semblance, and his form beyond that of the sons of men” (Isaiah 52:14). All these Messianic prophecies were fulfilled in Jesus as he hung from the Cross. 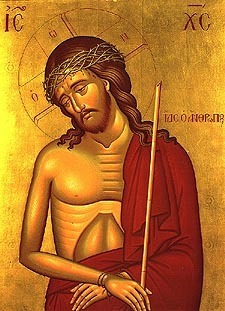 As the end approached, He cried: “My God, my God, why hast Thou forsaken me?” (Matthew 27:46). This cry indicated His complete identification with the human condition. He had totally embraced the despised, forsaken and smitten condition of suffering and death—alienation from God. He was truly the man of sorrows. Yet, it is important to note that Jesus’ cry of anguish from the Cross was not a sign of His loss of faith in His Father. 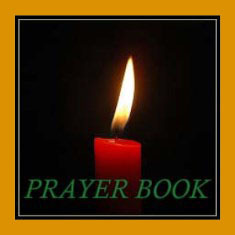 The words which He exclaimed are the first verse of Psalm 22, a messianic Psalm. The first part of the Psalm foretells the anguish, suffering and death of the Messiah. The second part is a song of praise to God. It predicts the final victory of the Messiah. 2) blasphemy: making Himself equal with God. Matters were hastened (consummated) by the moment of truth which followed His entrance into Jerusalem on Palm Sunday. He had the people behind Him. He spoke plainly. He said that the Sabbath was made for man, and not man for the Sabbath. He chastised the scribes and Pharisees for reducing religion to a purely external affair; “You are like whitewashed tombs, which outwardly appear beautiful, but within are full of dead men’s bones and all uncleanness. So you also outwardly appear righteous to men, but within you are full of hypocrisy and iniquity” (Matthew 23:27-28). It was the second formal charge; however, that became the basis for His conviction. 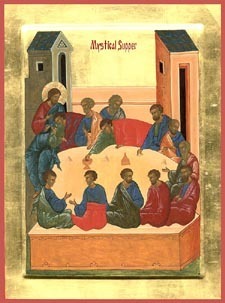 Divine Liturgy for Holy Pascha follows the Matins service. 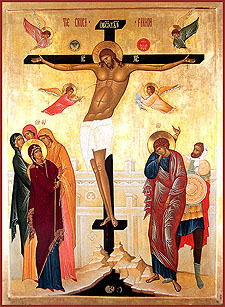 At the conclusion of the Pascha services we will celebrate with our annual Pascha "Breakfast"
We are a family church of many cultures with intergenerational worship; we have a full liturgical life throughout the Church year, with many opportunities for joyful fellowship and enduring growth. Our vision is to “manifest the Kingdom of God by proclaiming and living the Orthodox Christian Faith.” Orthodox Christianity is for everyone — come and see! 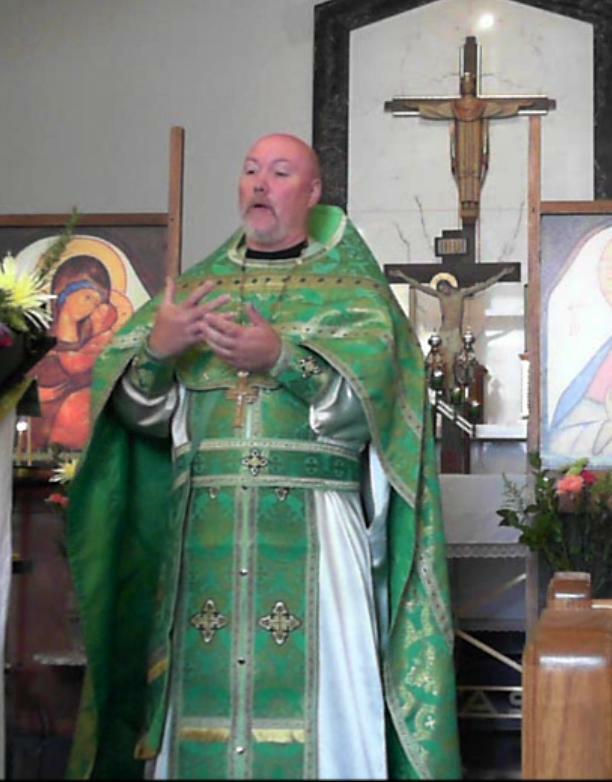 Located at the north end of California's San Joaquin Valley, St. Mary Magdalene Orthodox Church is dedicated to the Gospel of Jesus Christ and to His promise of salvation to all mankind. The services of our mission-parish are located in the heart of Merced. Committed to serving Christ and His Holy Church, the people of St. Mary Magdalene welcome and encourage all visitors to be our guests, especially those who are truly seeking the path of salvation.